This Journey is our most comprehensive tour of China, South Korea, and Japan. Visiting historical monuments, countryside landscapes, animal sanctuaries and modern cities, this Journey is certainly an immersive experience you won’t want to miss! In China you will visit the Terracotta Warriors in Xi’an, the Panda Breeding Center in Chengdu, take a cruise through the mystical landscapes of the Li River in Guilin, be entertained in the modern city of Shanghai, and walk along the Great Wall of China near Beijing. Throughout this experience, you will learn the region’s customs, enjoy the flavorful dishes of each city, and try your hand at local art. You will explore Seoul and Jeju Island in South Korea, and Kobe, Mt. Fuji, and Tokyo in Japan. After disembarking in Tokyo, you’ll spend the day learning the ancient Japanese traditions of Taiko drumming, sushi rolling, origami and more! 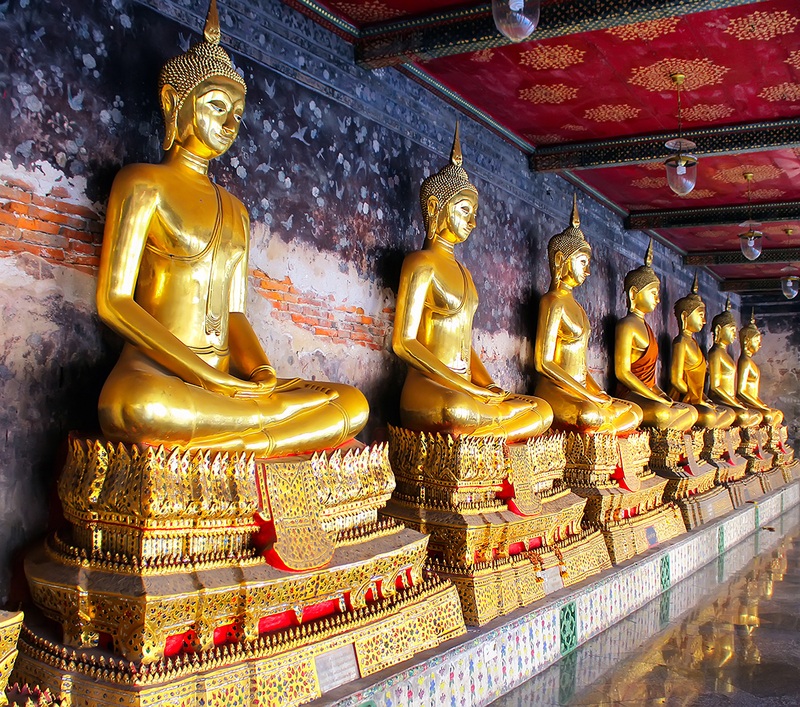 With 27 nights to explore the rich cultures of Asia, you will learn the nuanced differences of each region that makes every place so unique. Seoul (Incheon), South Korea: Located at the mouth of the Yangtze River, this seaport is a vigorous modern metropolis with proud Chinese heritage and diverse influences including French, British and Russian. 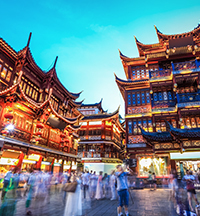 Your Shanghai cruise is not complete without strolling through the colorful Bund district, a colonial-era street with neoclassical and art deco architecture, or visiting the Jade Buddha Temple or the beautiful Yu Gardens. 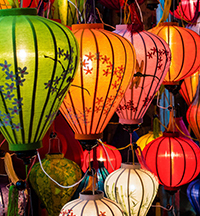 From authentic Chinese and Cantonese cuisine to local teahouses, you’ll find five-star gourmet and time-honored traditional offerings to choose from, as well as endless international food options. Make your way to Nanjing Road and browse the hundreds of shops lining the expansive pedestrian walkway for keepsakes and trinkets. Or head over to the Old City God’s Temple Market for authentic Chinese souvenirs. 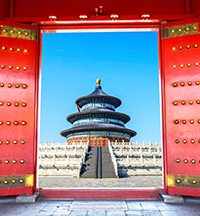 Beijing (Tianjin), China: In Beijing there will be a three-day, two-night guided shore excursion, specifically created exclusively for Enrichment Journeys guests! Highlights include Temple of Heaven, the Great Wall, Tiananmen Square, Forbidden City and more. See Day 17-19 in the land packages above for more details. Jeju Island, South Korea: South Korea’s tropical island paradise will enchant you with its sandy beaches, swaying palm trees and amazing volcanic landscape. Need a break from your beach towel? 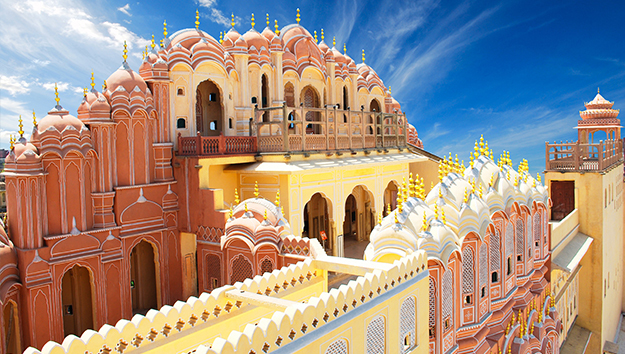 Waterfalls, museums, folk villages, scuba diving, hiking and festivals galore will keep you busy. Explore the colorful coral and sea life with a scuba dive off the coast of laid-back Seogwipo. Take an underground stroll through the world’s longest lava-tube cave at Manjanggul. Kobe, Japan: Kobe is the fifth-largest city in Japan and is the capital city of Hyogo Prefecture on the southern side of the main island of Honshu. Its name comes from “kanbe”, an archaic title for supporters of the city’s Ikuta Shrine. The earliest written records regarding the region come from the Nihon Shoki, which describes the founding of the Ikuta Shrine by Empress Jing in AD 201. For most of its history, the area was never a single political entity, even during the Tokugawa Period, when the port was controlled directly by the Tokugawa Shogunate. Kobe did not exist in its current form until its founding in 1889. Kobe was one of the cities to open for trade with the West following the end of the policy of seclusion and has since been known as a cosmopolitan port city. While the 1995 Great Hanshin Earthquake diminished much of Kobe’s prominence as a port city, it remains Japan’s fourth busiest container port. The city is the point of origin and namesake of Kobe beef as well as the site of one of Japan’s most famous hot spring resorts, Arima Onsen. Kobe is also your gateway to Kyoto, Japan’s ancient imperial capital, and the nation’s cultural and spiritual center. Mount Fuji (Shimizu), Japan: On clear days, particularly in winter, Mount Fuji (Fuji-san in Japanese) is visible from as far as Tokyo, 60 miles away. When Japan’s highest mountain is capped with snow, it’s a picture-postcard perfect volcanic cone. One of the best-known symbols of Japan, this iconic mountain has been considered sacred since ancient times and was even forbidden to women until the early 1900s. Interested in the land program without the cruise? Call us for a quote. – Air Add-On Rates are subject to change without notice. While we try to include the most common airports by default, we have many clients coming from different parts of the country. If you desire air from an unlisted airport, you must first reserve your Enrichment Journey with one of the listed airports as your default gateway and then ask, or have your Travel Agent ask, Enrichment Journeys to provide a quote for your preferred gateway. All prices on our website and e-Journey Travel Guide are subject to change without notice. While we make every effort to provide you the most accurate and up-to-date information, occasionally, a trip or pricing category may be misprinted or unavailable at the time of booking. In the event of an incorrect price due to typographical, photographic, or technical error, or error in pricing information received from our suppliers, we retain the right to correct the price and to refuse or cancel any bookings placed at the incorrect price. In addition, all offers, prices, and conditions of sale may be subject to change without notice including tours, included features, highlights, minimum or maximum stays, itinerary, times in port, and/or other conditions/restrictions.